This trio was made for cleansing and hydrating the skin. The high concentration of rich fatty acids found in evening primrose helps provide skin with moisture. Use this set to bring the rare an precious evening primrose into your bath time routine. Evening Primrose Revitalizing Body Wash will help cleanse skin , then, Evening Primrose Age Revitalizing Body Lotion will help hydrate skin. Revitalizing Body & Beauty Oil can be used in either of these steps, either as a bath milk or for additional moisture. Gently cleanse while protecting moisture balance. 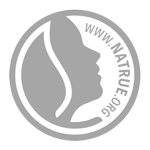 Dermatologically tested and free from synthetic preservatives, fragrances, colorants or raw materials derived from mineral oils. Massage over wet skin in bath or shower and rinse off. Will not produce high lather. Apply lotion to your skin, starting with the feet. Begin on the right and then the left side, using long, sweeping movements from the extremities of the body towards the heart. Inhale the scent and let it inspire you. Apply onto damp skin after a shower or bath, when oil absorbs best. Can also be combined with Weleda Evening Primrose Age Revitalizing Hand Cream or Body Lotion – a few drops of Evening Primrose Age Revitalizing Body Oil will enrich their effect.